Ever since I had to take down my Fall wreath, I have been itching to get another one up. I wasn't sure I could find a replacement that I loved as much, but I have been proved wrong. 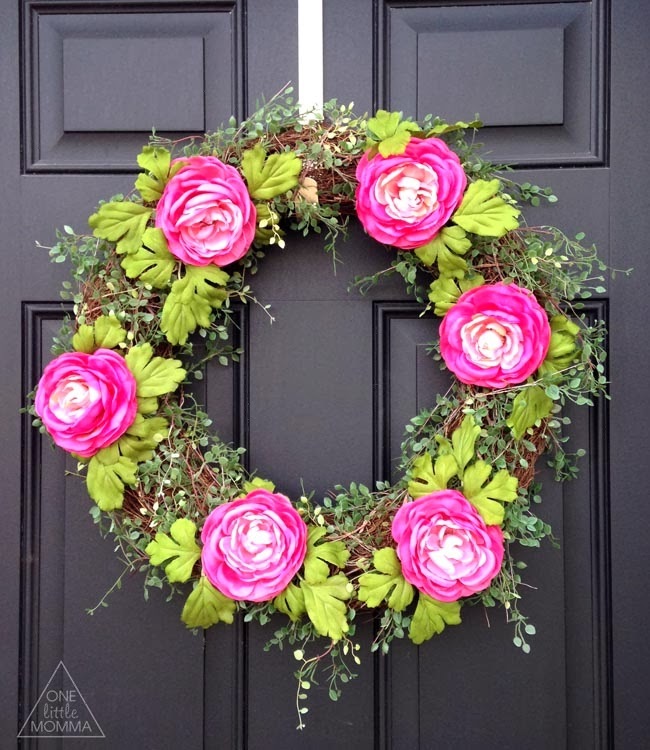 This Spring wreath is a beauty! Over the weekend I inherited a wreath form that I knew had all kinds of potential. I loved how simple and Spring like it already looked, but when I tried it on my door I knew more had to be done. I picked up some magenta Ranunculus flowers at Michaels and went to town with my glue gun. I bought six stems and they were surprisingly affordable for fake flowers. 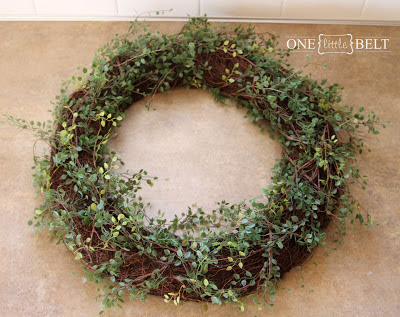 The way I do wreaths is super simple. I cut the flowers from the stems and arrange them around the circle until they look about right. Then I start gluing. 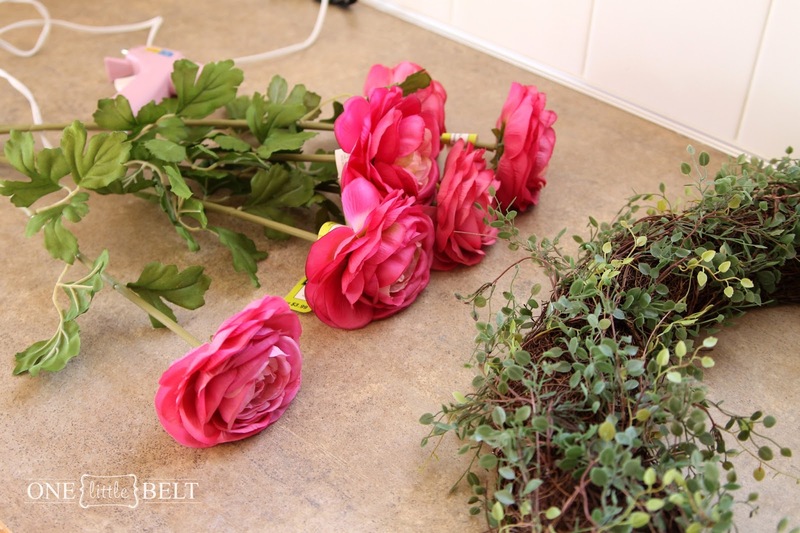 I also pulled off leaves from the stems and glued them beneath the flowers randomly. I love how it turned out! It is a perfect pop of pink in time for Valentine’s Day and fresh flowers to welcome Spring! 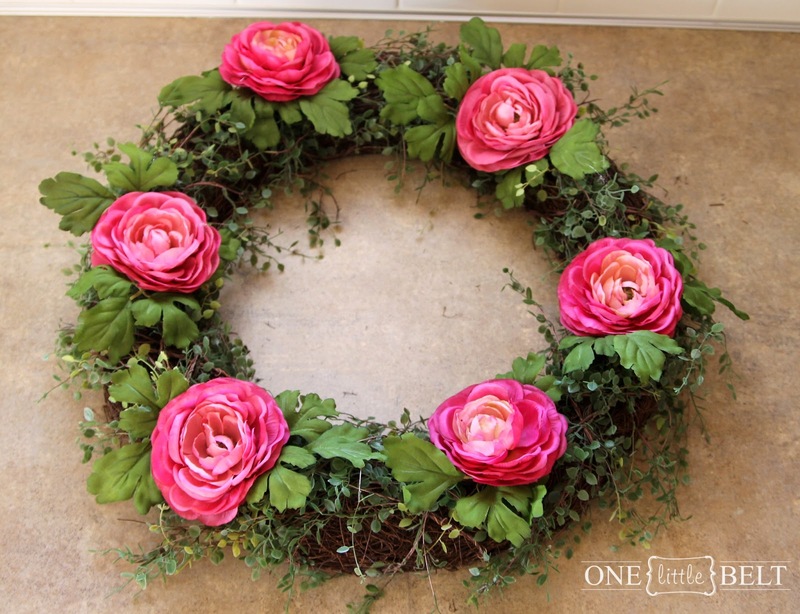 Do you put up a wreath for Spring? 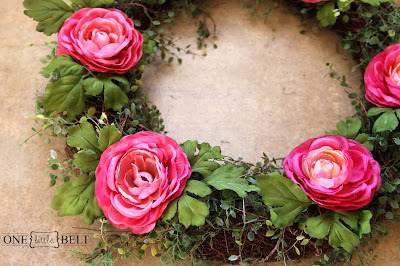 How early is too early- I'm thinking this doubles as a Valentine's Day wreath so it can go up in February! that looks great! i have a spring wreath that i'd really like to change, so this is a good idea. This is adorable. Ranunculus are such cheery flowers, and it's hard not to feel excited about Spring just looking at this wreath! I found you via Sugar Bee Crafts and would love if you'd come join my How To Tuesday link party, too! Very very pretty!!! Wonderful and spring-y! Thank you for sharing! Loving this...puts me in such a spring mood!! 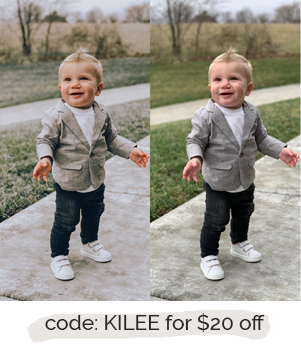 Love this Kilee! So colorful and cheerful! I cannot WAIT for Spring to come! Oh! Soooo pretty! Thanks for sharing. 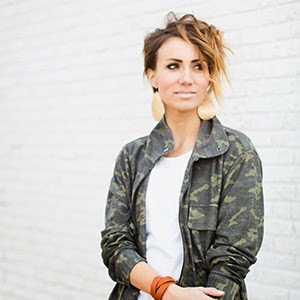 I found you today thru the Domestically-Speaking, Countdown To Spring Linky Party, where I'm #108. I hope you get a chance to stop by my blog and leave a comment, too! Very pretty! My inspiration, thanks a lot!